You might one day need to be a whistle-blower. Be forewarned: Your personal and professional lives will suffer. New research on state whistle-blower lawsuits shows it’s likely you’ll be fired and will lose your case. But then, doing the right thing never meant that right things would happen to you. No amount of electronic communications can replace the face-to-face networking and education at the 21st Annual ACFE Fraud Conference and Exhibition. Martin T. Biegelman, CFE, ACFE Fellow, director of financial integrity for Microsoft Corporation, explains the new forms and pervasive nature of identity theft. 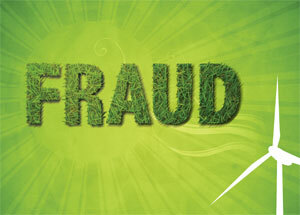 He also offers advice to individuals on how to protect themselves from this common form of fraud. 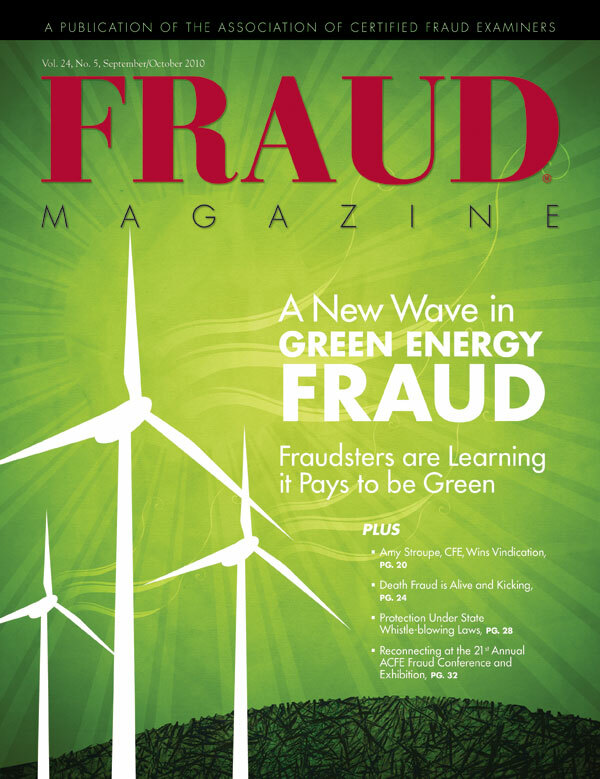 Green energy has mass appeal among consumers, investors, and manufacturers. Now fraudsters are jumping on the bandwagon and taking advantage of a market ripe with emerging technologies, lax controls, and an abundance of financial incentives. Amy Stroupe, CFE, just wanted to do a good job for her employer. When she uncovered evidence of a Ponzi scheme, she eventually lost her job. But sometimes sentinels are vindicated. It might be impossible to eradicate this pervasive fraud, but cross-referencing documents with the U.S. Social Security Administration’s Death Master File might be the key to significantly reducing the success rates of perpetrators. 2009 FTC Consumer Sentinel Network Data Book: Is the Positive News about Identity Theft for Real?